An Unsubscribe opt-out is a fundamental option to have in all your marketing & outreach communications. 1. Go to your "Campaigns"
Go to your campaigns here. Once you are on the campaign's page, e dit or create a new campaign. Watch how to create a campaign. The checkbox is located at the bottom of the "Compose email" step, tick it and you are all set. Why do I need to include an unsubscribe link to my campaigns? You should know by now, how harmful it’s for your reputation to have emails that end up in spam folders. By including an unsubscribe link in your emails, it automatically gives you more chances to end up in the inbox rather than in the spam folder. Even if you have optimized your campaigns' messages, content, incentives, and frequencies, not all your customers will be equally receptive to them. It’s important to be understanding of people’s needs and preferences and allow them to opt out of your email list if they wish to do so. 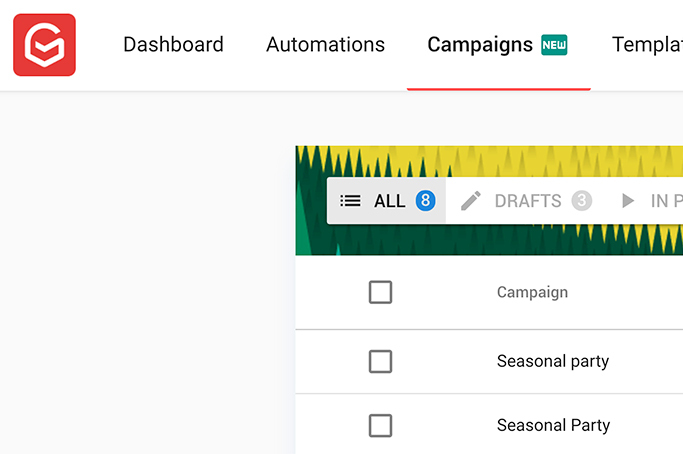 In fact, this improves the whole email marketing experience, to make sure that unlike social channels, your inbox is for content you specifically choose and want to see. To be compliant for the EU GDPR, you need to ensure a proper way for their contacts to unsubscribe from your mailing list. 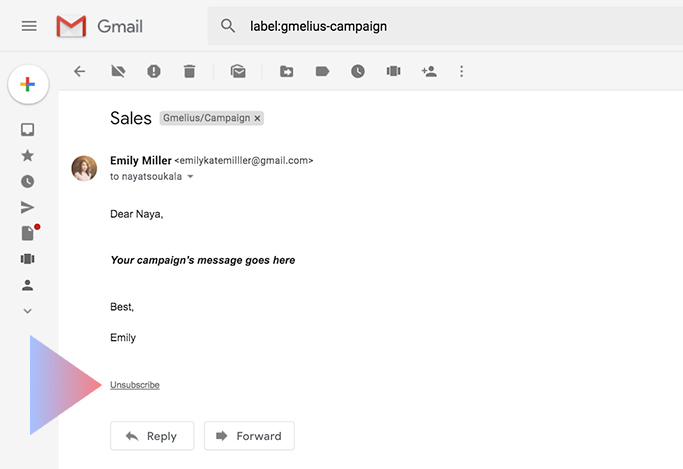 The unsubscribe process under GDPR needs to be clear and simple, and Gmelius Campaigns offers you a visible unsubscription link in each email from where your subscriber can easily unsubscribe from all your email communications. According to article 17 of GDPR, all data subjects have the right to request their data to be erased. You have the obligation of deleting such data when the data subject withdraws consent for it to be collected and used or when it’s no longer necessary for the purposes for which it was collected. It is within a data subject's rights to request to unsubscribe from a list and the data controller's right to delete such data. Keep note with GDPR, consent cannot be something that you obtain once and that’s it.